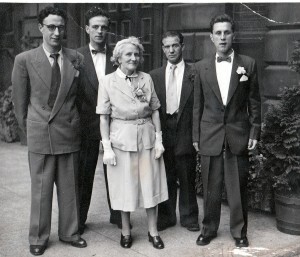 JOSEPH ANGELO QUILIETTI married JANE BOYLE on 4th September 1919 at 34 Chambers Street, Edinburgh. Jeannie’s father was 40 when he married Anne Kay or Smith, [she was also known as Rose Ann], Smith being her married surname. Rose Ann worked as a housekeeper for James Boyle and their address was Gateside, Whitburn. Anne had been widowed some years earlier. Anne was Londoner by birth. Her father was a Photographer and Artist and he and his wife Jane Williamson lived in London where he plied his trade. Anne married Thomas Smith and they had two children Rose Anne and Ellen Smith. Thomas died young leaving his wife with the two girls. By now they had moved up to Scotland. In Scotland , now widowed, Anne found work as a housekeeper for James Boyle. As most great stories go they fell in love and married on 14th May 1900 in Whitburn church of Scotland, West Lothian. 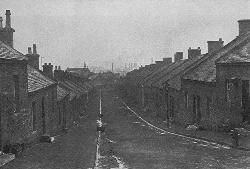 They moved back to Old Monklands in Lanarkshire and lived at 82 Flat Row there with her two children from her first marriage, Ellen who was born in 1891 and Rose Anne who was born in 1897. Our Granny, Jane Boyle was born on 13th November 1901 at West Benhar in the East District of Shotts Burgh in the County of Lanark. Her father signed with an x mark. They had another daughter Jemima who was born in the year 1905. Jemima married Arthur Lumsden in 1924. We have to date no trace this line. PLEASE SEE COMMENT BELOW FROM JOHN COSGROVE. 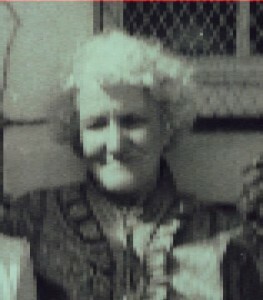 John’s grandmother was Rose Ann Smith who was Jeannie Boyle’s sister. Life was hard in those days and any romances which ended in pregnancies were not easy to handle. Rose Ann had a baby, born out of wedlock. The baby, named Annie, was adopted by a couple who lived in Penicuik. According to John in later life she found her natural mother again and became friendly with her aunty Jeannie and often visited her in Niddrie. Annie married into the Cosgrove family who also came from the Craigmillar area in Edinburgh. James Boyle was born on May 3rd 1857 in Gartersherrie in the District of Lanark. worked in the mines, like his own father before him. Gartersherrie was situated in the middle district of Old Monklands in Lanarkshire. We know little about him until he married Annie Kay except that he worked in the mines in Lanark. Then after his marriage and birth of his two daughters he continued his working life and was especially close to the Muir family, who were his sister’s family. The 1911 Scottish Census shows the Boyle family living at 122 Quarry Row, Whitburn, Linlighgowshire. James was still in the mines but his age is stated as being 48. So again we have different ages on the Wedding lines and the census information. He died at 20 Bath Street, Glasgow of Cardiac Failure on 19th September 1917. This was only two weeks after Jeannie had married Joseph Angelo Quilietti. His usual residence in 1917 was given as Railway Terrace, Coalburn. 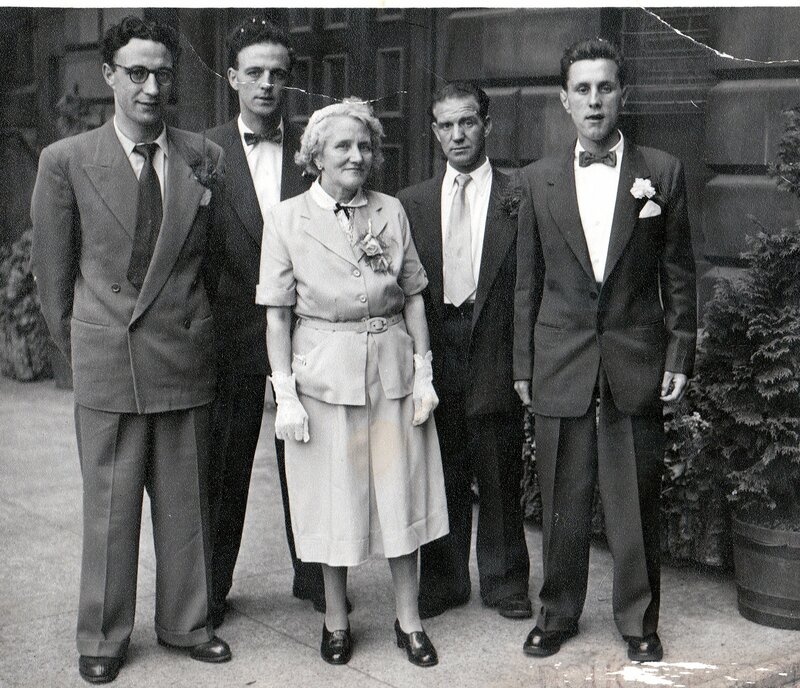 Jeannie Boyle’s grandfather was James Boyle, Furnace Keeper and her grandmother was Jane Walker. Gartsherrie was steeped in the mining industry and there were countless accidents at the pits. Jane Walker, our Granny Quilietti’s granny, was killed in an accident at Starry Shaw Pit on 18th February 1874. Jane Walker was born on 11th November 1821 in Irvine. Her father was James Walker, and he was a coalminer, and her mother was Mary Pinkerton. Many of the infants in a collier community are thin, skinny, and wasted, and indicate by their contracted features and sickly dirty-white, or faint-yellowish aspect, their early participation in a deteriorated physical condition.From the age of infancy up to the seventh or eighth year, much sickliness and general imperfections of physical development is observable, and this is owing to the comparative inattention of the mother to the maintenance of cleanliness of her childrens persons, to irregularity as to time in their meals; to the use of improper articles of food; to insufficiency of culinary process; to excessive quantity of food at one time, and to too little at another; to the practice of giving whisky either raw or diluted with warm water; to insufficiency of clothes, which are in many cases both filthy and ragged, and almost always quite inadequate to protect against the inclemency of the weather; to the inhalation when within doors of an atmosphere rendered noxious by damp, by human respiration, and by the various impurities which are almost constantly found in the abodes of this class of persons, proceeding from the inmates, which not infrequently include horses, pigs, fowls, dogs, and cats. Jeannie Boyle’s paternal grandmother was Jane Walker [she married James Boyle]. Jane Walker’s father was James Walker and he was also a coalminer. James was born on18th October 1779 in Abbey, Paisley, Renfrewshire in Scotland. He died on 11th May 1856 in Townend, Dalry in Ayrshire. James’ father was William Walker who was born in 1750in Paisley. William married Margaret Jamieson. William’s father was James Walker b. 1780 in Paisley and his mother was Margaret Wallace. Jane Walker’s mother was Mary Pinkerton. She was born in 1780 in Irvine in Ayrshire and she died in 1851 also in Irvine. Jane, our direct line, who was born on 11 November 1821 in Irvine and who died on 18th February 1874 in Starry Shaw Pit, Shotts, Calderhead in Lanarkshire. I have been researching my family tree and came across your site. Too many of the names you have here and places are a coincidence although I do have slightly varying information. I am tracing back the family line of my Great Grandfather William Boyle born in West Benhar, Shotts in 1891. His father was Henry Boyle born in 1852. 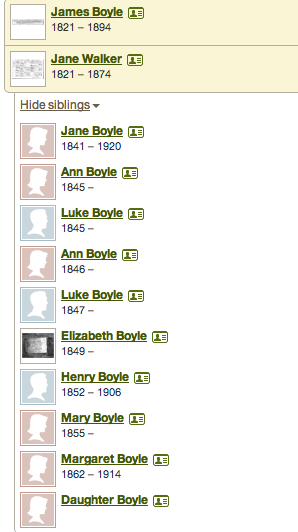 Henry Boyle’s brother was James Boyle, I believe the father of your grandmother. Their parents were James Boyle born circa 1825 and Jane Walker born circa 1829 from Dalry, Ayrshire. James Boyle circa 1825 was the son of Luke Boyle circa 1786 and Elisabeth Campbell circa 1796. Contrary to your statement regarding the fact the Boyle family came from County Mayo in Ireland I have a different background. We believe these Boyle’s originally came over to Scotland after the Norman conquests in the early 1100’s from France and the original family name was De Boyville. They were granted lands in Wales and Cumberland and later Wigtownshire/Ayrshire. The Welsh contingent later emigrated to Ireland where after the split of the Church resulted in this part of the family becoming Roman Catholics. The Ayrshire Boyle’s remained protestants and still sit in the Clan seat at Kelburn Castle in Largs Ayrshire, which is where the Dalry, Ayrshire connection comes in. Please get in touch to share information.